checked the oil and tire pressure while filling the gas tank. You can trust your car to the man who wears the star, the big bright Texaco star. I worked for Consolidated in WI. and our center island was a display case with glasses, bowls, dishes that we gave as a premium. 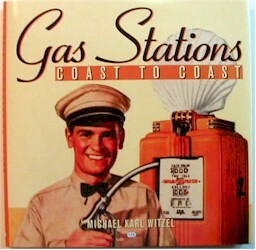 I've read that some stations are going back to using station attendants to pump gas. They'd like you to think it's to differentiate themselves from the competition, but more likely it's to cut down on theft from drive-offs. Can't say I blame them. I miss the days of full service--and they meant it back during the good old days! Remember when gas was 29 cents a gallon?? Some stations also gave away items like glasses when you filled your tank. We have pump jockeys here in NJ, but they won't check anything unless you ask them to - and, the odds are, they might not understand you.